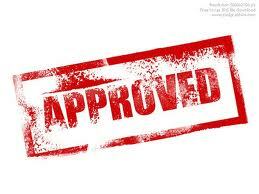 Watch out for approval "landmines"! For all the talk of how tough it is to be "mortgage approved", the basics of mortgages haven't changed. Mortgage approvals are still the 3-legged stool of income, equity, and credit. Sometimes, though, it's not getting approved that's hard -- it's staying approved. You have to watch out for landmines. Because mortgage approvals (the approval to loan closing time frame) take time, there is plenty of time for "things" to happen to you and unqualify you or unapprove your approval. :( In a typical home loan market, it's about 3 weeks from start-to-finish. Approvals can take longer, however, depending on market conditions. For example, if rates are low and there's a refi boom on-going, a refinance can take 4 weeks to close. Some things you just don't have any control over: For example, if lose your job, become ill, or see your home damaged by storms (refinance), you may lose your mortgage approval -- even if you were previously cleared-to-close. Unfortunately, these are all events that are beyond your control. You can't control sickness any more than you can control Mother Nature. But you can control yourself during those extra few weeks. Making sure that you don't do something that you do have control over to cause your loan to be "unapproved" is what I wanted to mention here. Good behavior matters in mortgage. There are a plenty of other items to beware of during the mortgage loan application to closing process, but this is a good "first list" to pay particular attention to. Building for success in 2013! Opening a new chapter in our lives! As we write the story of our lives, just as we write our business life story, we come to the end of a year or chapter and look ahead. We know what things, what ideas, what relationships worked in the chapter we are closing. As we contemplate this next year, or our next chapter, it's important to take with us the things that worked, and keep building on these. What do we do with the things that didn't work? Leave them, they didn't work, let them stay behind, close out the old chapter. Move ahead. Add new ideas to things which you WERE successful with. 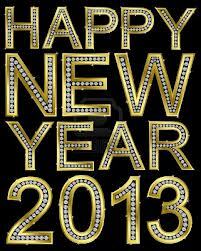 I wish all of my clients and fellow business professionals a most successful and prosperous 2013! The Federal Housing Administration will likely continue to offer reverse mortgages despite talk of program changes due to FHA’s financial position, writes a Sterne Agee research note published last week. “We do not believe Congress is going to let the [FHA] kill reverse mortgages and incur the rage of the AARP,” the report states in response to the announcement by FHA that it will make changes to its reverse mortgage program including putting a hold on the fixed-rate full-draw product. Pending home sales rise for 19th consecutive month! Pending home sales increased in November, 2012 for the third consecutive month and reached the highest level in two-and-a-half years, according to the National Association of Realtors (NAR). On a year-over-year basis, pending home sales have risen for 19 consecutive months. The upward momentum means existing-home sales should rise eight to nine percent in 2013 to approximately 5.1 million, following a 10 percent gain expected for all of 2012. The median existing-home price is projected to rise just over 4 percent in 2013, after rising more than seven percent in 2012.